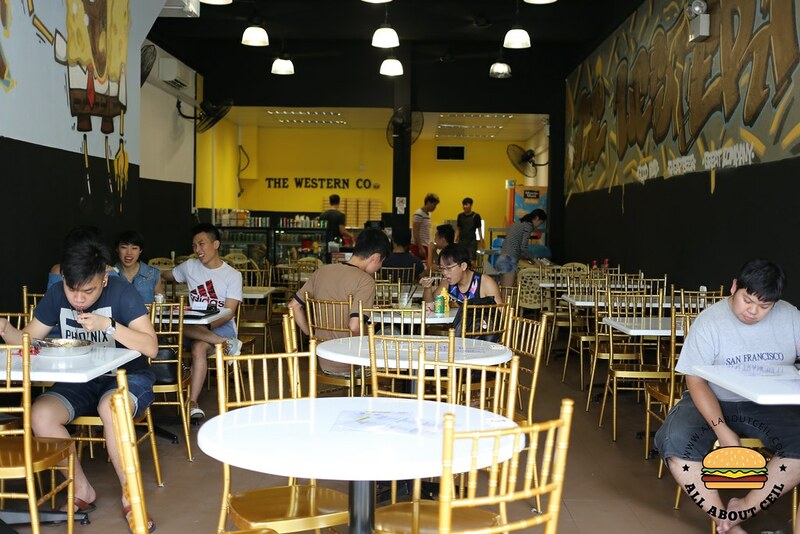 UPDATE: [7 November 2016]: I took notice of the recent accident of the bad customer service encountered by a certain someone in this eatery. Their service might not be the friendliest that i ever encountered but i think we should be given them a chance and not to condemn them on the social media so soon. 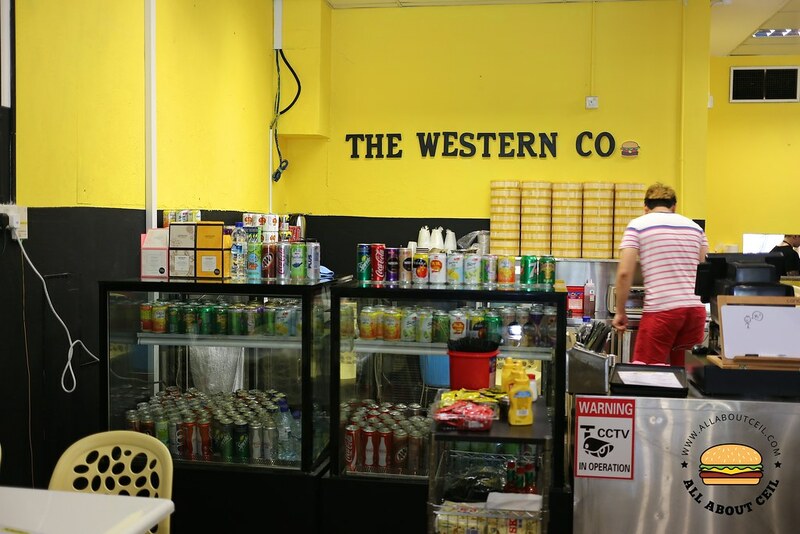 They have a business to run and doing it in Singapore is extremely difficult. They used to be in a coffee shop at Foch Road but closed it down on 28 September 2016 just about 2 months after they started. They returned on 29 October 2016 in a shop along Trywhitt Road, near the Jalan Besar Stadium, just a stone's away from the City Square Mall. It all happened within just a month. 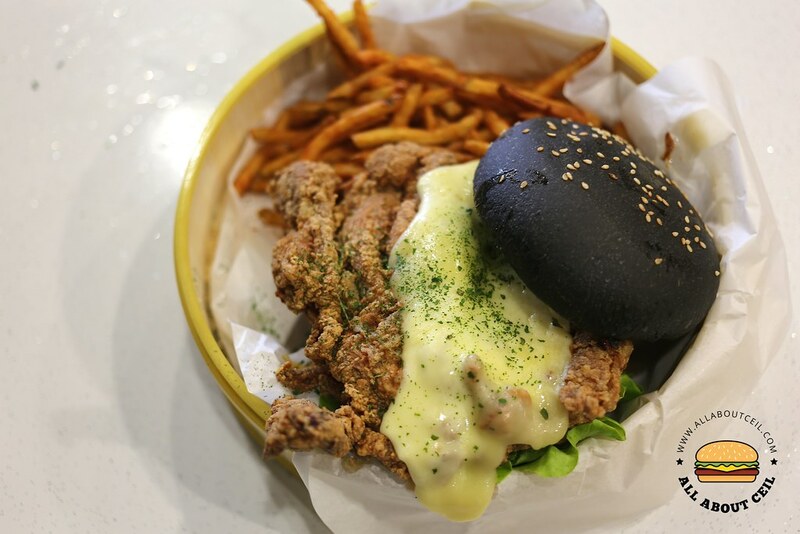 It is started by Larissa Yang, 23, she studied a degree hospitality in Switzerland a few years ago then worked in France before returning to Singapore and started a cafe but eventually shut it down due to the high rental. 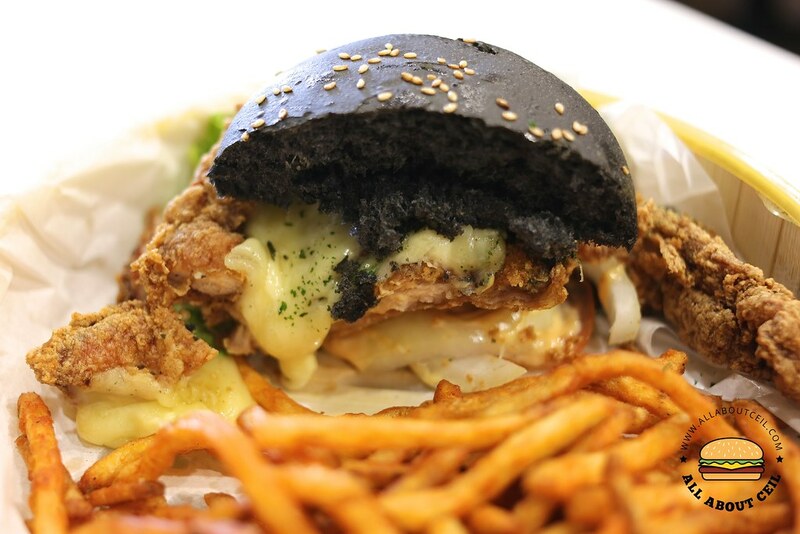 Other than some changes to their menu, they have also starting to accepting reservation. I made a reservation 2 days before as i was expecting long queues but it was unexpectedly quiet and there were still a few empty tables at 1.30 pm on a Sunday, the second day since their re-opening. 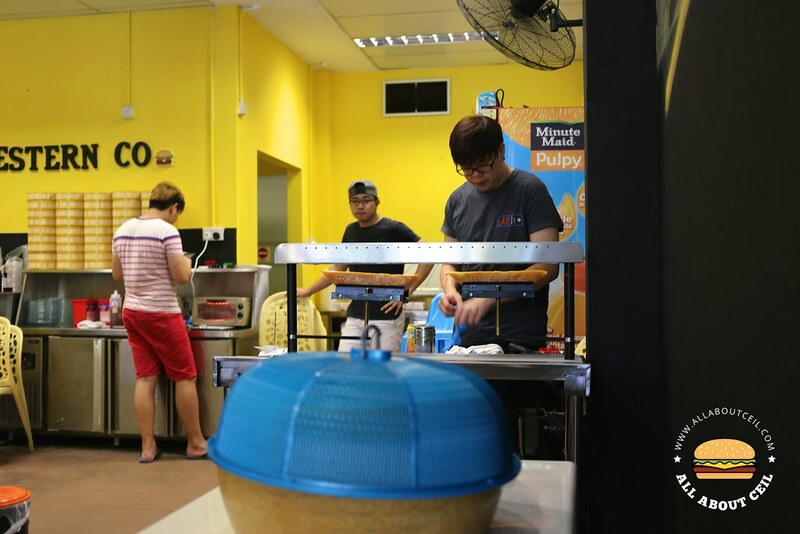 They were the first hawker stall that started using raclette cheese in their dishes. They import their raclette cheese directly from Switzerland for their specially created raclette cheese-topped dishes that attracted really long queue when they were still at the coffee shop in Foch Road. The closed it down and citing manpower shortage as the main issue as they did not anticipate and could not quite handle the crowd then. They used to serve about 300 servings of their raclette-topped dishes daily then. We ordered their signature Ying Yang Combo Fish & Chips ($14.90) and Chicky Burger ($15.90) to go with their canned soda drinks at $2.00 each. 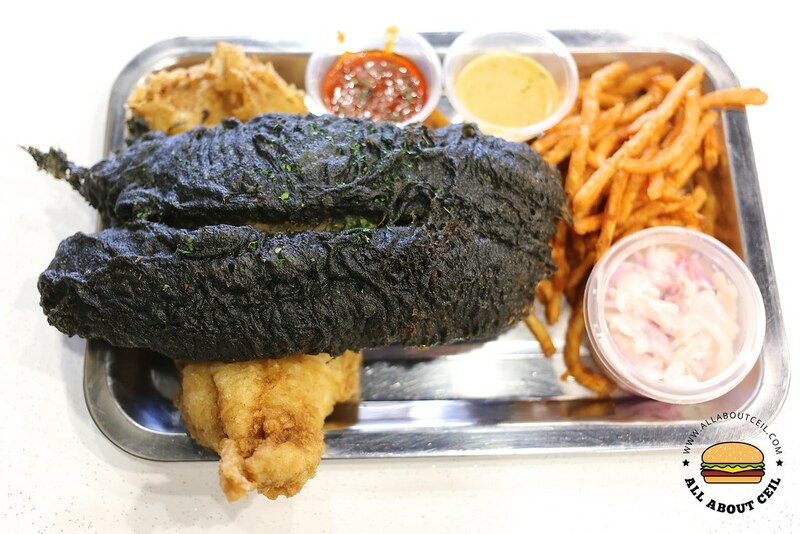 It was served to the table in about 15 minutes, the Fish & Chips came first then followed by the burger. 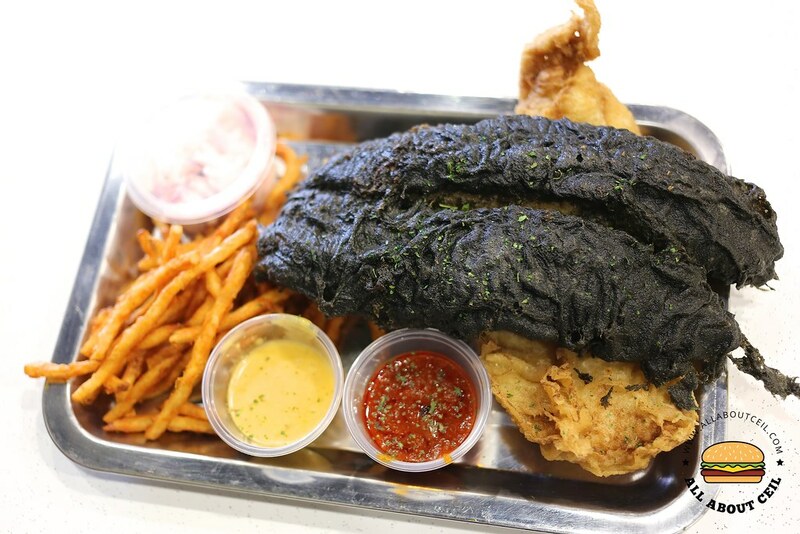 Ying Yang Combo Fish & Chips, it consists of bamboo charcoal battered fish and their classic battered fish served with their homemade salted egg sauce and chilli crab sauce. 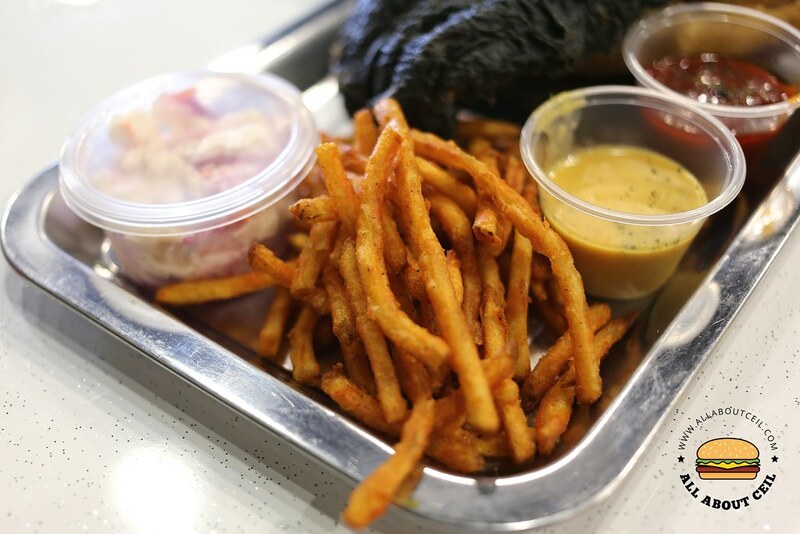 It is served with 2 choices of their side dishes, the choices are fries, home made slaw, fresh mesclun salad and mash potato but the mash potato was not available on that day so i opted for fries and coleslaw. There is an option to top it with raclette cheese for $5. 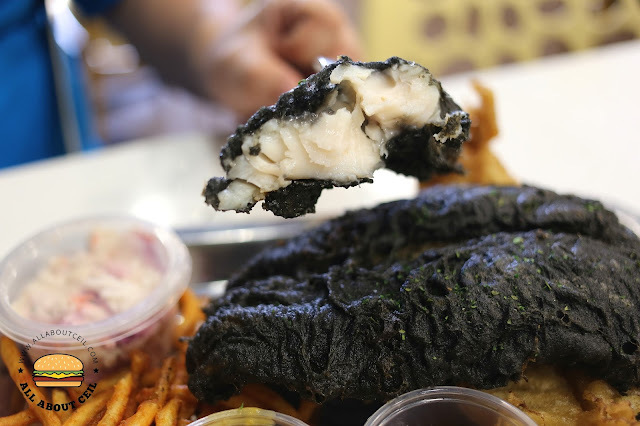 The fish fillets were quite a massive piece, it was lightly battered then fried to perfection to give it a layer of crispiness but still retained its moist texture within. The coleslaw has a refreshing sourish taste which i liked. The fries were nice too, it still tasted crispy even after left it for a while. The chilli crab sauce has a comforting spiciness and savory in taste. Their salted egg yolk sauce is also made fresh daily, it has a distinct salted egg taste. Both sauces went well with the fried fish fillets. 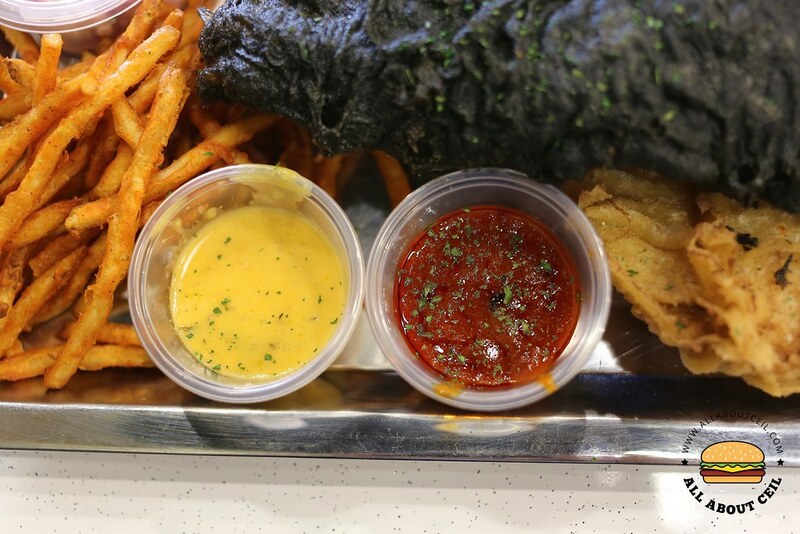 If i am going to compare this with the other famous Fish & Chips that is also served with chilli crab sauce and salted egg sauce, i would think this one fared much better in term of taste for the fish and sauces, its portion is more filling as well. 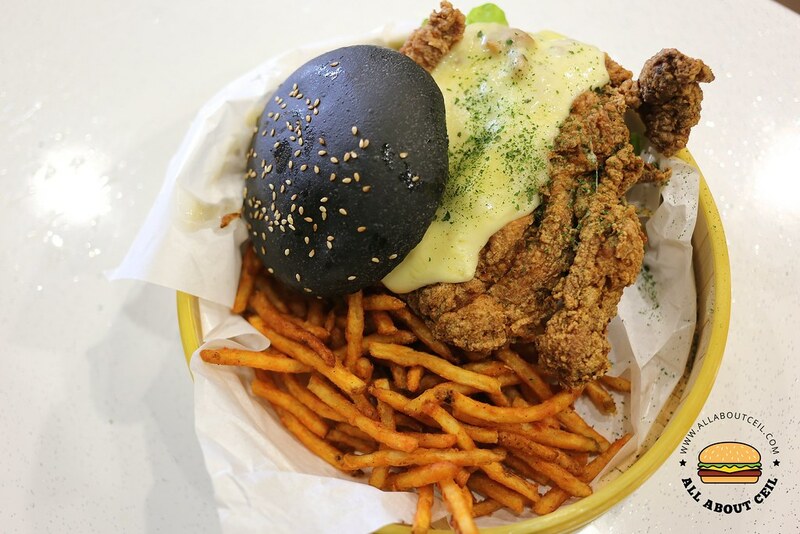 Chicky Burger came with a piece of fried chicken thigh serves in between the artisanal charcoal buns with lettuce, tomato, house sauce and raclette cheese. They sourced their buns from an artisanal bakery. The well-marinated fried chicken patty was a really big piece and fried to perfection then topped with the gooey melted raclette cheese. 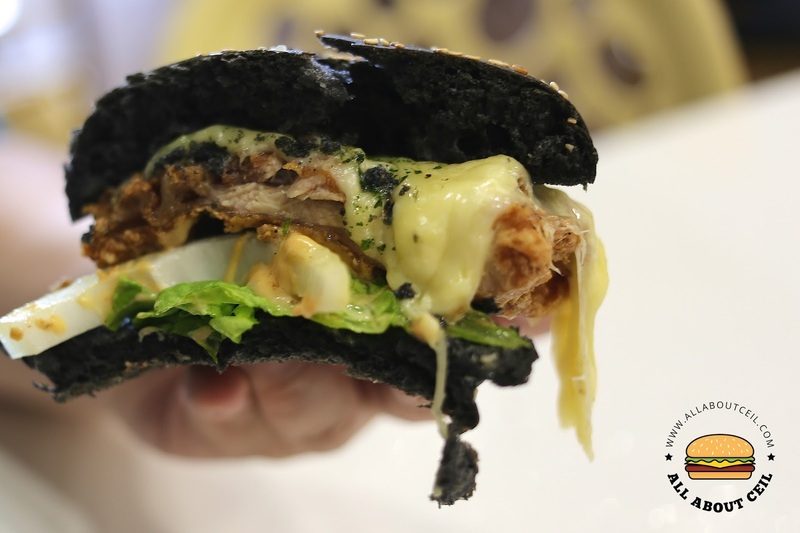 The raclette cheese was first melted then scraped onto the fried chicken patty. 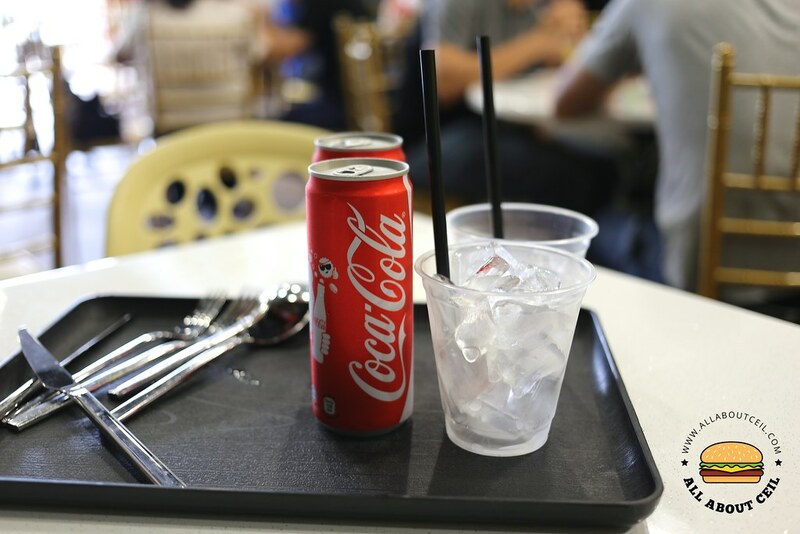 Their prices are excluded the GST and service charge thus made it more affordable and it is also served in quite a big portion so it is definitely value for money. And, this might be amongst one of the cheapest places to enjoy raclette-topped dishes.